Come along to our Sunday evening practice sessions. Whether you’d like to play in a team, or just for fun, we are a very friendly bunch! Please contact: Gill Email: arkle46@aol.com or Tom Email: thomasscard@gmail.com for more information. The Chalke Valley Table Tennis Club is based in the Chalke Valley Sports Centre, at Broad Chalke. The Club meets every Sunday evening in the Sports Centre from 6.00pm to 10pm approx. If you feel you might have a talent for table tennis please come along and have a go at no cost. Other Practice Sessions can be arranged, if required. The Club at the moment runs 3 teams in the Salisbury Table Tennis League,and 2 teams in the Blackmore Vale Table Tennis League. These 2 leagues start in September, and end in April, both leagues run, Singles, Doubles, and Team Tournaments throughout the season. If you are interested come join our club. We have 1 qualified Table Tennis coach, and 2 young members undertaking coaching training to become qualified coaches. Our current membership age range is from 10 years old to 90 years old. over 64 years £1.00p per session or £10.00 a year. Practice Fees for Guests are £4.00 per session. The Fees for League Table Tennis are as follows. Salisbury and District Table Tennis Association: £10.00. 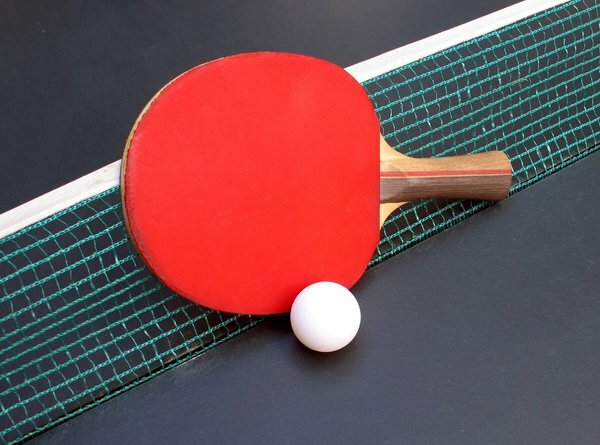 Blackmore Vale Table Tennis League: £12.50. In addition the club charges £1.50 per match (home or away), or £30.00 match fee per league, for the whole winter season. To play in either of the 2 leagues, there is a £10.00 Table Tennis England Player Registration Fee to be paid. The Fees for Under 18 year olds, are half the above fee. During the Summer, the Club runs a summer league for it’s members. This costs the members, the normal match fee.